Lifelong friends and avid golfers, Tony Zappia and Ronnie Johnson, unfortunately both passed away from heart attacks. Tony passed away suddenly on April 4, 2007 while Ronnie died unexpectedly on November 19, 2013. Their sons, Colin and Scott, respectively, have also been friends for years and have decided to honour their fathers’ memories by raising funds for the Ottawa Heart Institute Foundation. Colin is a real estate agent in Ottawa and recreational golfer while Scott is a PGA of Canada golf professional and the Director of Operations at Kanata Golf and Country Club. They’d each been donating money to the Heart Institute over the years but decided to try to bring more awareness to the cause through a bigger experience. Golf was a natural fit around which to build a fantastic and fun event. 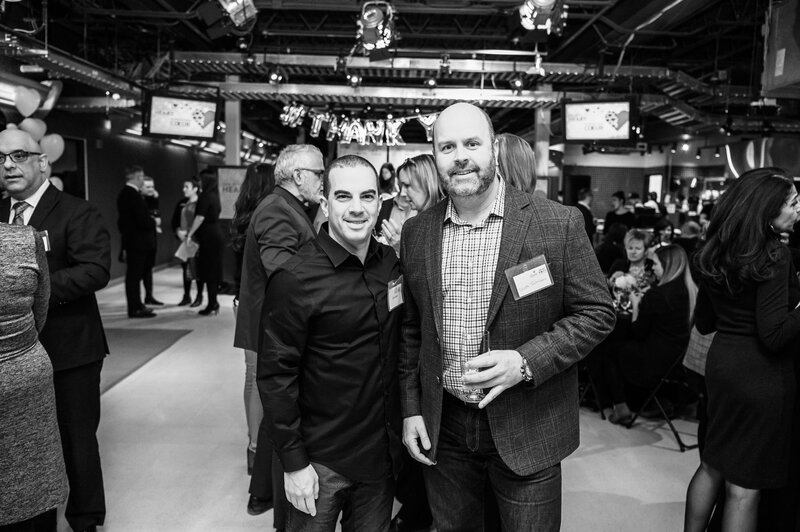 The University of Ottawa Heart Institute Foundation is the bridge between the generous donors of this community and the exceptional work being done at the University of Ottawa Heart Institute. The Foundation creates opportunities for charitable fundraising and philanthropic support, engages with volunteers throughout the community, and celebrates the accomplishments and advancements made by the Heart Institute’s clinical, research, support staff, and volunteers. The Foundation plays a vital role in ensuring that the many critical components of world-class cardiovascular care are available to patients in our community and across the country. When you GIVE WITH HEART your support will help the Heart Institute deliver patient-focused care, bench-to-bedside and bedside-to-bedside research initiatives, and prevention and education programs right here in our community. Learn more by reviewing our latest Annual Report at https://foundation.ottawaheart.ca/about-foundation/your-impact. Are you ready to be part of the first annual 24 Hours of Golf presented by Sutton Ottawa?